Location '. Location ' Location! Quiet Cul-De-Sac , just a short walk to Scripps Ranch Marketplace, walk to local park w/ Basketball Court and Sand Volleyball Court, and easy access to I15 and S56 Freeways. Windchime town homes look and feel like a detached home neighborhood. Wonderfully bright and open floor plan w/ TWO Master Suites, a sunny, south facing patio area in back, and an attached two car garage. Low fees- HOA $42 mo. and Mello Roos only $54 mo. which ends soon. See supplement for more. SchoolsClick map icons below to view information for schools near 10661 Eglantine Ct San Diego, CA 92131. Home for sale at 10661 Eglantine Ct San Diego, CA 92131. 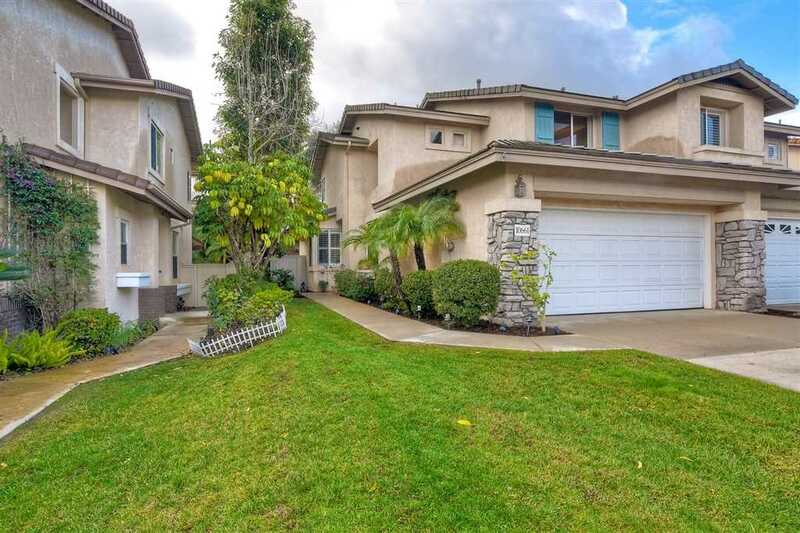 Description: The property at 10661 Eglantine Ct San Diego, CA 92131 in the Windchime subdivision with the MLS# 190007725 is currently listed for $611,000 and has been on the market for 76 days. You are viewing the Sandicor listing details of the home for sale at 10661 Eglantine Ct San Diego, CA 92131, which features 2 bedrooms and 3 bathrooms, and 1264 sq.ft. of living area.